Another example of the usage of stuffed animals that stores display to attract customers. This one was seen on the Sun Road in Kichijōji in front of a drugstore for traditional Asian medicince (I think). The panda holds a sign for some kind of bamboo extract with various health benefits. 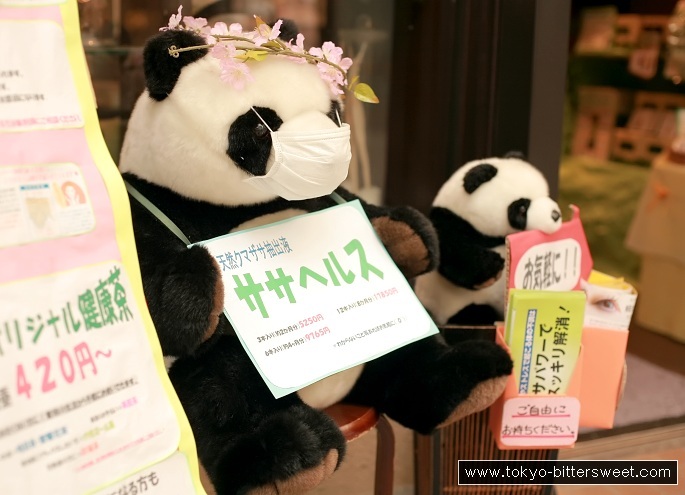 As many sick people in Japan do, it is also wearing a face mask lest it infects other people/pandas.